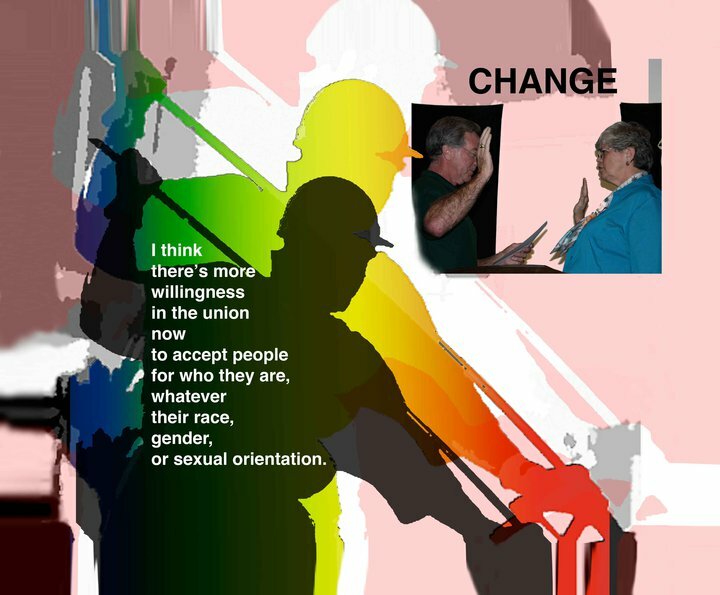 This poster is based on images and ideas of Jane Templin a journey-level union electrician in the International Brotherhood of Electrical Workers. It was created in 2010 by a group of youths and artists who Jane spoke with as part of the Tradeswomen Address the Next Generation project. all rights reserved. maintenance, transportation, long shore workers, fisherwomen, women in military trades and related fields. Although the archives has a North American focus, it includes items from women around the world and hopefully will expand its international community.This effort was initiated by tradeswomen themselves. education, and empowerment. Images and documents can be uploaded helping to preserve a history of local, national, and international involvement in breaking barriers into blue-collar non-traditional fields.